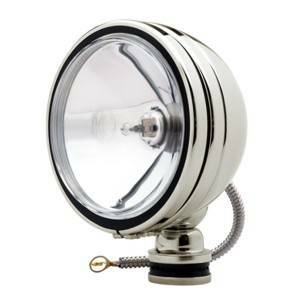 KC's Classic 6" Daylighter Halogen feature powerful 100w H3 Halogen Bulbs in a Spot Beam. Available in black powder coat, chrome or stainless steel housings. Also comes with KC Hilites Iconic Smiley Face" light covers.